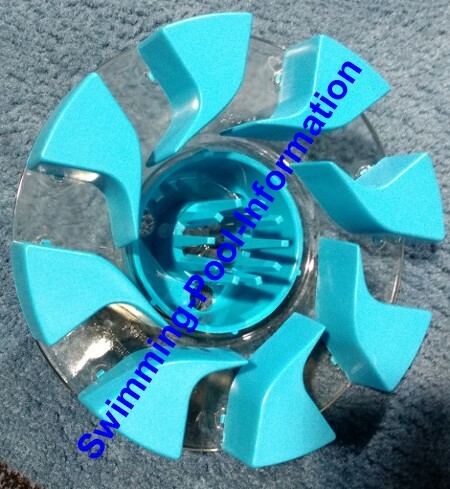 The random units shown above have diaphragms which open and close with the suction creating a walking motion which moves the units along the bottom/sides of the pool. 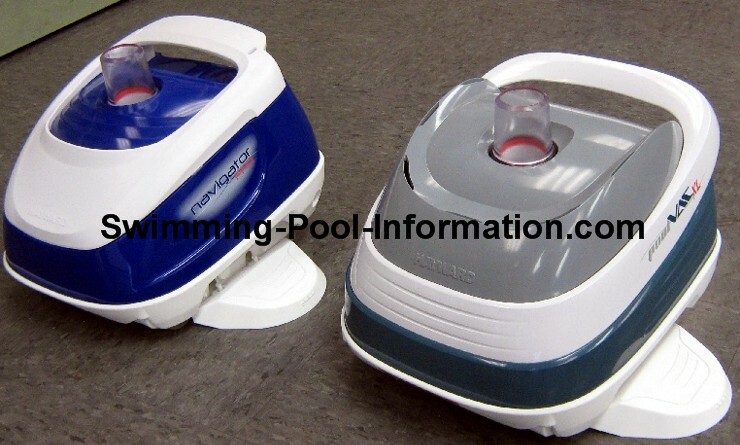 The lower unit pictured by itself is the newest model with swiveling head. They are random in that they freely go where they want to with no preset pattern. The above models are put out by the Zodiac company with names like Baracuda,Baracuda GT,and Pacer. 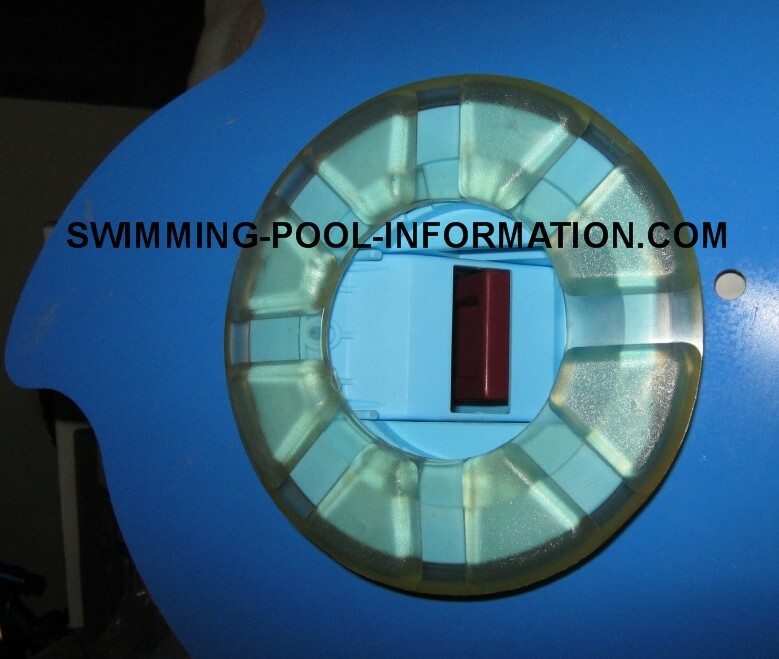 These units all work basically the same and come in above ground and inground pool cleaner versions. 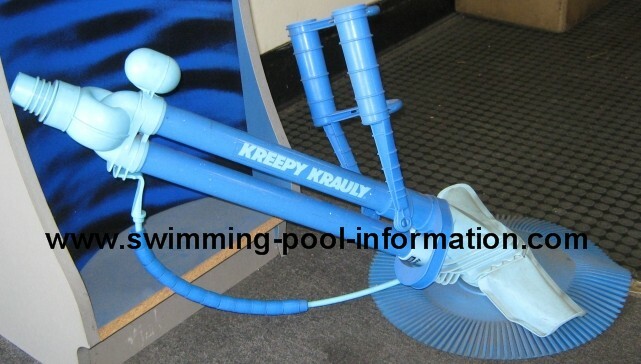 Below one of my favorite random pool vacuums is the kreepy krauly shown below. As far as I can remember, this is the first suction automatic cleaner originally from South Africa I believe...these units sold for 750.00 when they first came out many years ago....now you can probably get one for less than 300.00 and they even have lower price models. I love these units because they only have one moving part and can last for years with the most simple repairs. 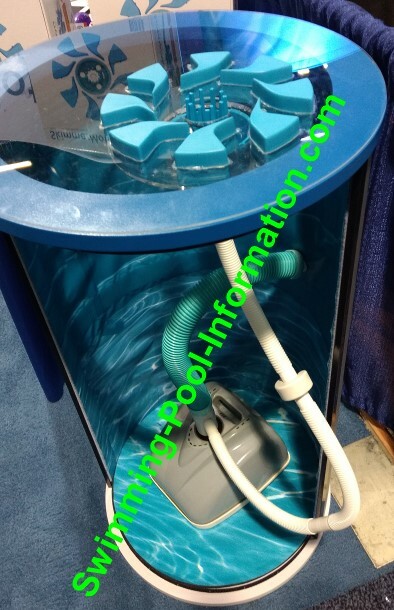 I have also noticed these units do not need the same amount of suction as other types of suction pool cleaners-in fact,they can often run on a two speed pump's low speed setting. 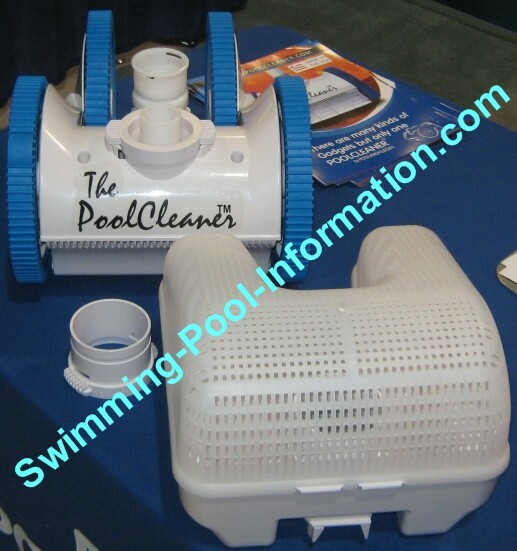 At the top of this page is a photo of a programmed cleaner-the Hayward Navigator also known as the Hayward Pool Vac. Shown below is another programmed cleaner simply called The Cleaner. 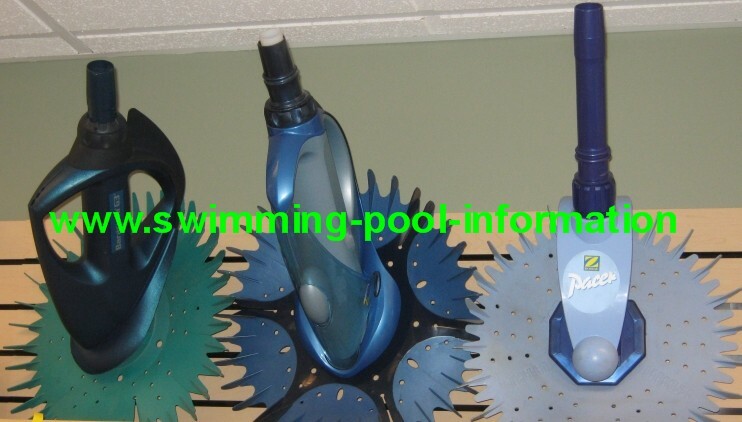 It was originally put out by Jacuzzi but are made by a company called Poolvergnuegen. Both of these units use a system of gears to have unit go forward a certain amount,then right,then left. If I remember correctly, the unit below also backs up which is nice if you have spots in pool such as steps where cleaners constantly get stuck. 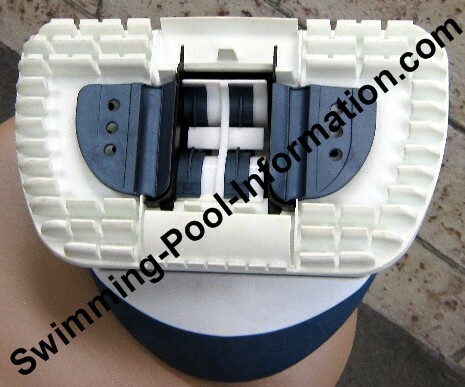 They come with two or four wheels and there is also a pressure model with bag shown in photo. There are so many of these types of cleaners out there,its hard to keep track of them all. I will constantly update this page as I get more photos. 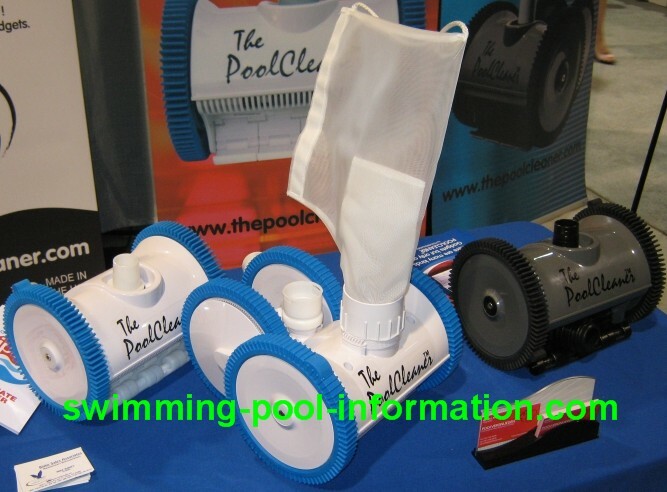 Under the photo below is a link for troubleshooting auto pool cleaners. Shown in the two photos below is another programmed cleaner,the Kreepy Krauly Landshark,which is an improved model of the old Sta Rite cleaner. I like these because they are fast,quiet,and dependable. 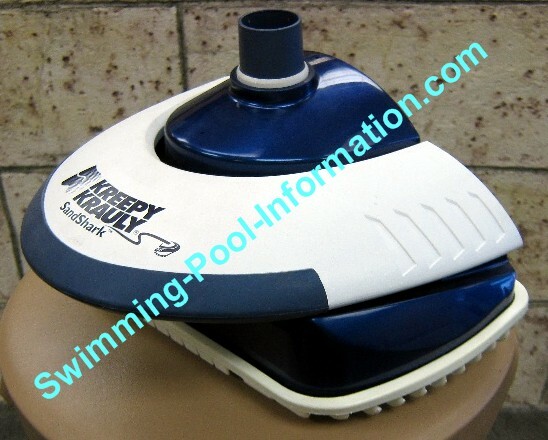 Shown below is the top and side view of the Rainbow Vac Mate. 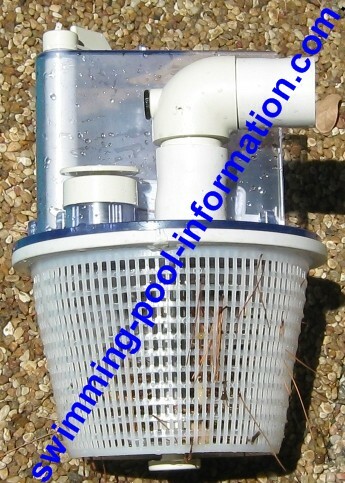 This device goes in place of skimmer basket and traps debris. 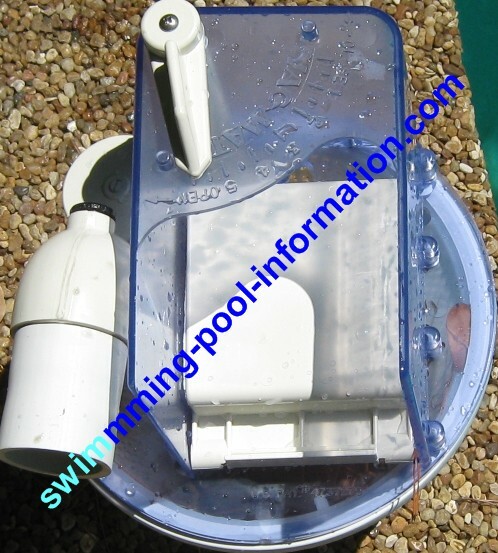 Also gives you skimming action and is adjustable-below that is a more common in-line leaf canister which attaches to cleaner hose. These devices keep debris your automatic vacuum catches from clogging your plumbing and/or pump basket. 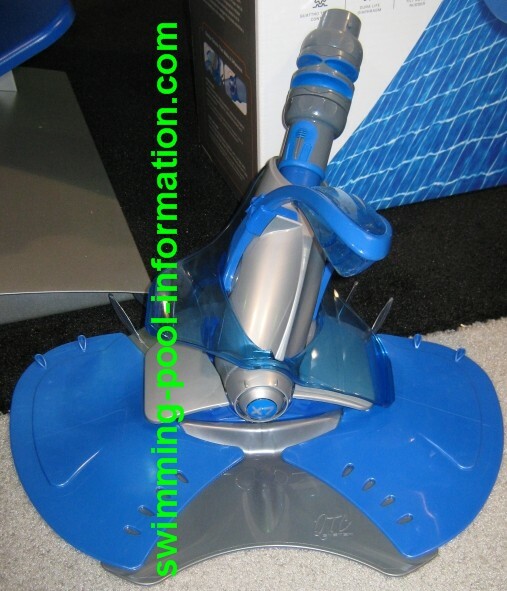 Above and below: the Skimmermotion which attaches to suction cleaner to give your pool a moving skimmer for debris on top of pool...I have not tried it but it looks interesting.